Need Help Implementing New Revenue Recognition Standards? 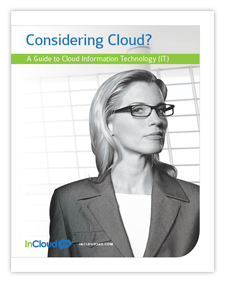 You are here: Home / Cloud Computing / Need Help Implementing New Revenue Recognition Standards? Has your finance team been concerned about how to adopt ASC606 and IFRS 15 Revenue Recognition Standards? The new revenue recognition model required by these sweeping new rules looks like it may be complicated and time-consuming to implement. But Intacct’s new software tool can help you correctly manage revenue reallocation and expense amortization under the complex new regulations. Intacct Contract and Revenue Management, a module that will work with Intacct’s cloud ERP solution, fully addresses all the new revenue recognition Standards under ASC606 and IFRS15, which will take effect for public companies in 2018 and for non-public businesses in 2019. The new rules promise to be especially difficult for subscription-based businesses, but all companies will need to adhere to the new accounting standard. 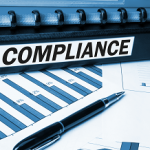 Less than 10 percent of the finance teams we asked had even started to address the changes that the Federal Accounting Standards Board (FASB) and International Accounting Standards Board (IASB) have laid out concerning contracts. That means you’ll need to get up to speed, quickly, on how to manage the new regulations in order to be ready for the 2018/2019 implementation. Companies will have to reallocate revenue each time a contract changes with a customer, and expenses won’t be recognized until the contract is delivered on. This gets especially confusing when you think about contract add-ons and renewals, which must be integrated into a single contract. That reallocation of revenue will also have to reflect both past and future periods, so you could need to make continuous revisions. We talked to Robert Kugel, the SVP, and Research Director at Ventana Research, a leading benchmark research and advisory services company. Kugel is concerned that conforming to the new rules will be a major undertaking for most businesses. “These changes require an extensive review of contracting and accounting policies and processes, and will likely require changes to procedures and — above all — systems,” Kugel says. Finance executives that we surveyed agree. Of the 320 execs at mid-sized companies that we surveyed, 47 percent said implementing these requirements into their existing systems and spreadsheets would be extremely challenging. You might need to forego the spreadsheets entirely, according to Kugel. Without an automated solution, he says, your finance team could be constantly tinkering with spreadsheets and risking errors to try and adhere to the accounting rules. He recommends staying away from spreadsheets entirely when attempting to manage revenue recognition because of how complex the standards will be. We created Intacct Contract and Revenue Management to let your finance teams fully automate the complex processes for addressing the new revenue reallocation and expense amortization rules. Our solution provides out-of-the-box functionality so you don’t need to rely extensively on IT resources or complicated scripting to get the results you need. Intacct Contract and Revenue Management is a comprehensive solution that will help you automatically integrate transaction-level dual treatment of revenue and expenses. You’ll be able to produce dual reports and forecast your company’s future reports under the old and new rules. You can also integrate your subscription billing and the tool will recognize revenue from that correctly. SaaS metrics will help you gain insights into your accounting data. Does your company also use Salesforce? Intacct Contract and Revenue Management will integrate with that tool so you can structure workflows that capture and edit the contracts created in Salesforce. You won’t need to risk errors and take added time by importing or manually re-entering the contracts. Learn more about Intacct Contract and Revenue Management in a video overview below or contact us for more information.